I haven't been in the studio. Nope, I haven't. I have been doing quite a bit of drawing though because when I can't paint I still want to keep my creative outlet open. 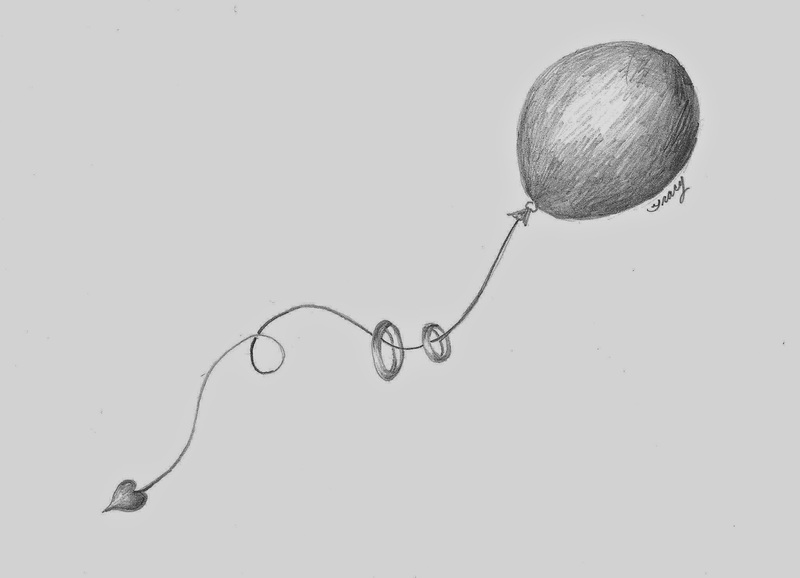 So once again instead of sharing a painting with you I'm going to share more drawings. The first three were inspired by the time of year. 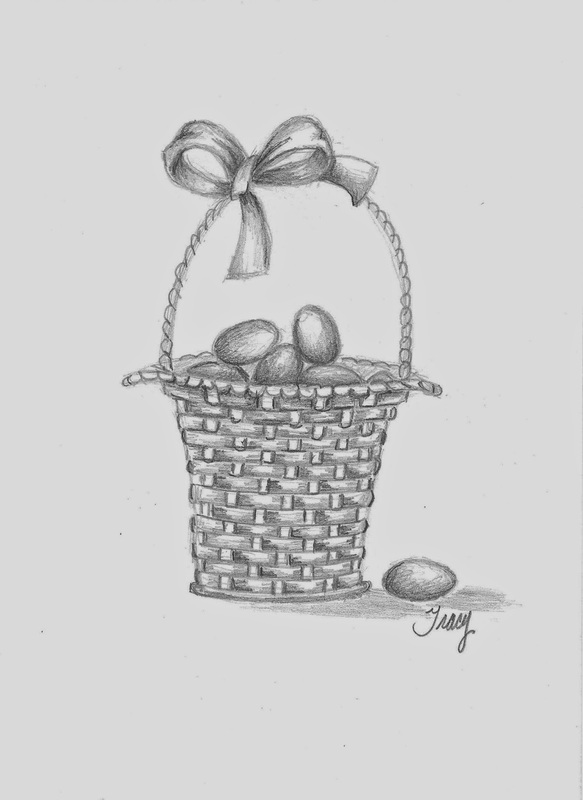 Spring brings egg baskets, flowers and Mother's Day and since those things were on my mind, I did some of my "whimsical life" style drawings. These three I envision having glitter on them so if I use them to create cards, they will be sparkly cards. 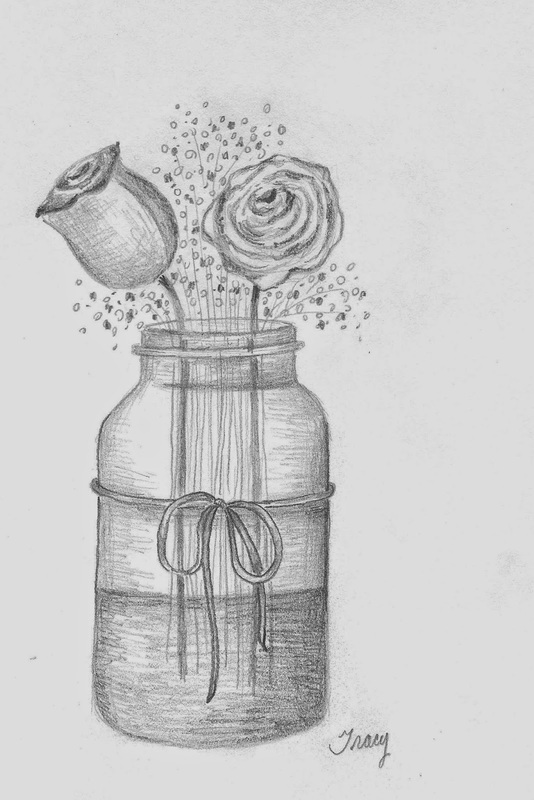 With it also becoming Wedding season, I wanted to do some drawings that I could use for Bridal Showers or Bridal Thank Yous. 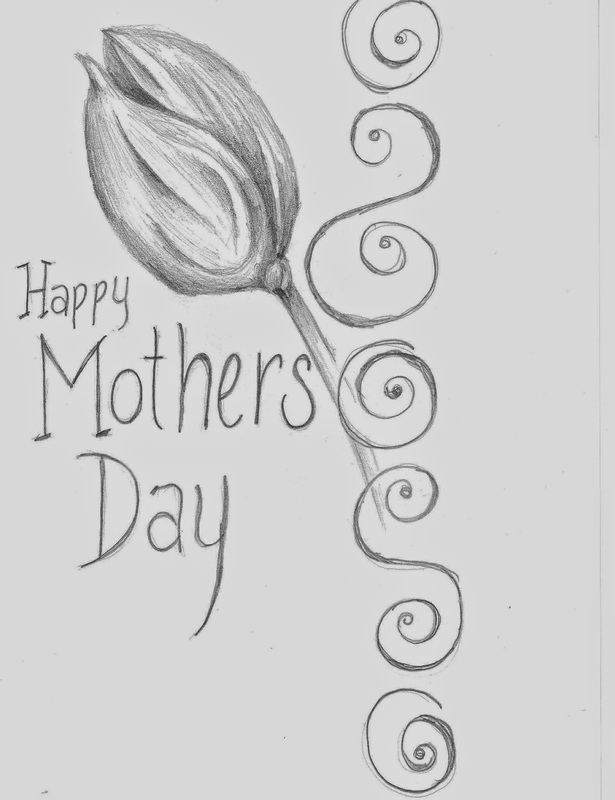 Here is a photo of a drawing that I did and then how I used it to create a card. The last two are also from my "whimsical life" style, but they are landscapes. 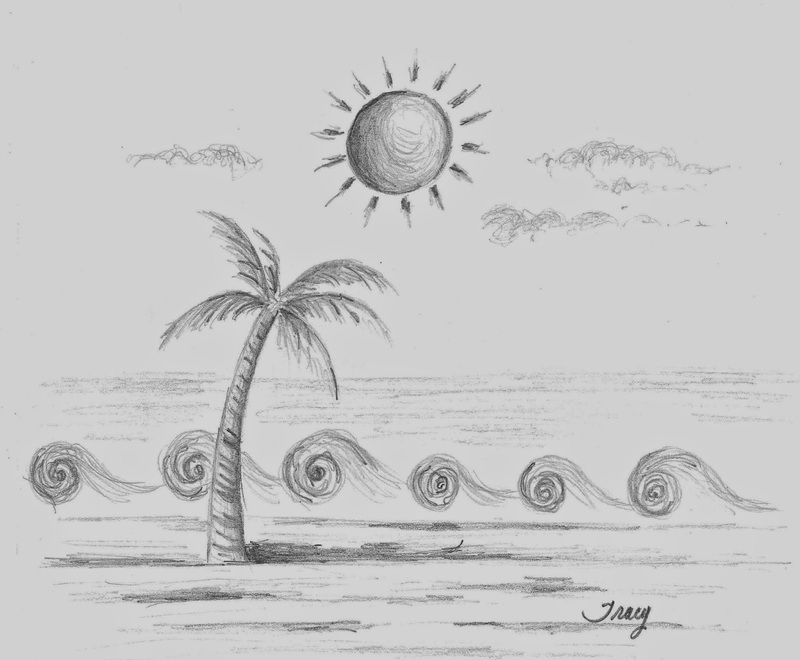 She had visited Florida back then and became obsessed with drawing palm trees. She actually had a really recognizable illustration style for a teenager. 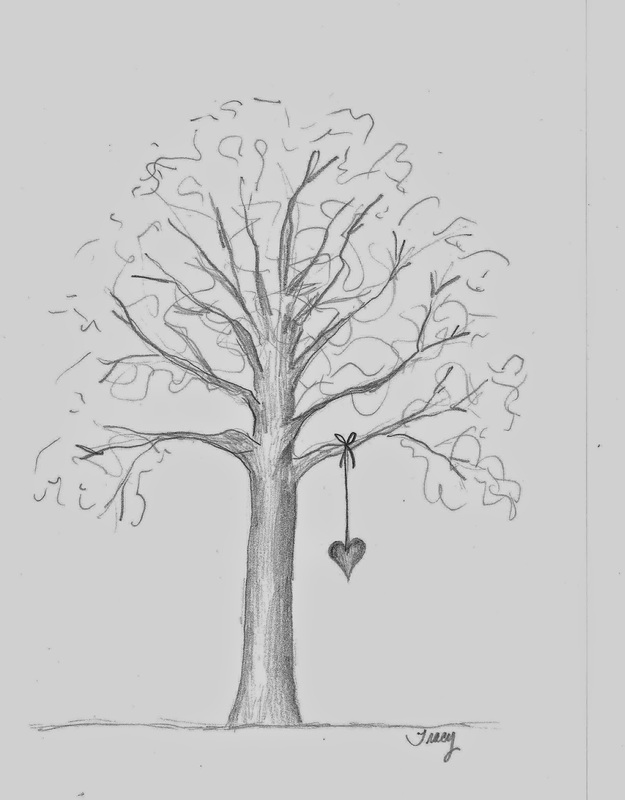 The tree with a hanging heart illustration below, was drawn with the intention of making a thank you card. 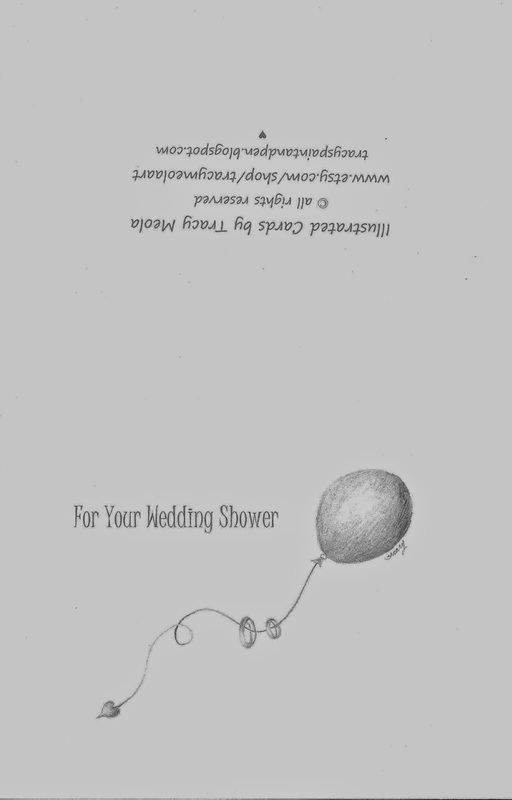 I thought it would be a cute Wedding Thank You and then when I finished it I realized it would be a nice Thank You for any occasion. 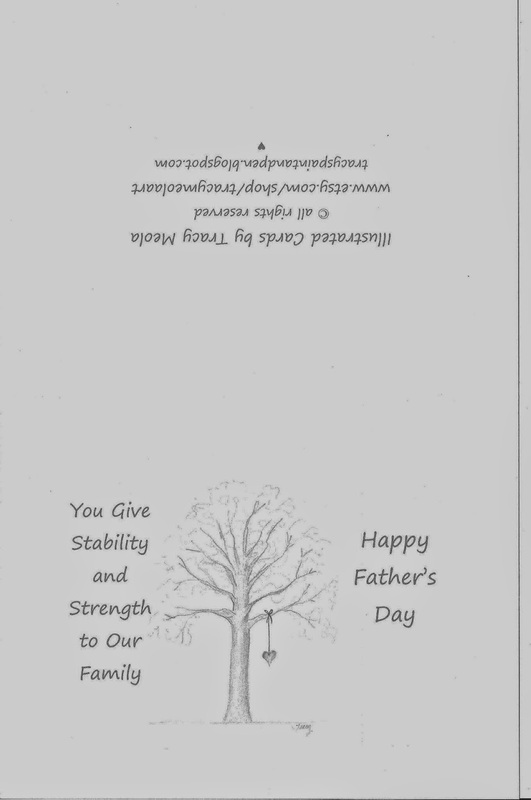 BUT it also turned out to be a great Fathers Day Card...check it out! I really hope that the next blog post I make is of a painting, and I hope it's soon.